Virtual reality has become an important part of the existing video ecosystem. Creators are looking forward to the innovations in the virtual reality and new tools for the video creation. The virtual audio positioning also plays a vital role while creating a VR video. There are many innovative tools and software is slowly come into use today. Virtual Reality video supportive audio software tools can support the creators very well in this new VR world. There is a lot to know about the virtual reality supported audio tool suits which can enhance the experience of the viewers. There are several tools which are still active in developing. Creators, publishers, marketing, and advertising agencies must be up to date with the recent trends and new arrivals that support the virtual reality technology to withstand the competition in the present market. The new tool set had launch by the Dysonics company which targets the streamlined process for immersive audio for Virtual Reality videos. The new software tool is very helpful to the creators who deal with the VR video content. Rondo360 is a spatial all in one workstation for immersive audio especially for 360 degree and virtual reality videos. It is very straightforward and different tool which can deliver the best audio for Vr video content. It is easily get integrated with the DAWs and other workflows that can support the flow of a variety of audio configurations and improves the export functionality and the distribution across the top applications as well as the major platforms online. • Encoding of the specialized audio using the Motion-tracked binaural format. • It can deliver the high-quality output in an easy way. • It is the most efficient format that is available at present. • It can support the minimal real-time playback in the processing. • A complete end to end solution for the VR audio in which it can be accessed from a single application. • It has a multi-channel audio pipeline that supports the MTB format. • It is also available in a suite of spatial mastering tools like reverb, compressor and so forth. • The mastering tools also support the multichannel and as well as the sound field type of content. 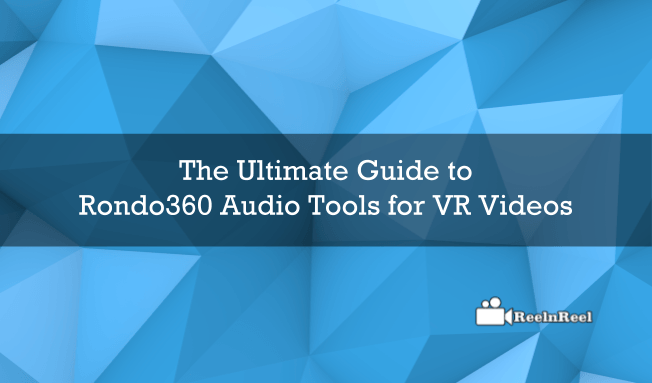 • The workflow with the VR audio by Rando360 tool is very easy and flexible. • It is compatible with the DAWs formats. • It consists of an intelligent user interface design with real-time head tracking preview that was integrated into it. • Best audio and video synchronizing and real-time visualization. • It also aligns the audio mixing and can render the final AV file to the compatible format to the particular device that you have selected. Rondo360 consists of headphones which are design with the wireless motion sensor for headphones. These headphones can be attached to the headphones for the 360-degree audio quality which has the capability of transforming every audio file just like you listened to a private audio concert. The audio in your traditional headphone jack is just flat and stationary. There will not be any spatial experience. When comes to the motion tracking playback and Rondomotion headphones, it will give you the best experience while listening to the soundtracks. • It supports the six-axis motion sensing with a clear, scalable sound. • USB is chargeable with LED indicator. The new toolset is compatible with the Mac and it presently available for a free trial and after that $481 annual license should be taken by the user to continue its services. The audio tools are developed and improved for virtual reality videos comparing to the previous year’s developments. This is the best for the creators working with the 360-degree videos, Along with the subscription to this software the company is also throwing a Rondomotion sensor which is attachable to the headphones that allow the creators for testing the motion tracked video content. • The first wireless head tracking device in the world which can provide the best experience with whole 360 mixes with better interactivity with powerful editing tools primarily designed for the VR and 360-degree content. • Complete automation support which automates the movement of various source positions in three dimension space. • Best audio video syncing which can correctly align with the audio mixing and become compatible with the variety of platforms of the user’s choice. • The Ambisonics encoder and decoder allow the up mix and compatible over the 360-degree head tracking and panning. • The real-time audio spatialization can perform and deliver through Rondon360. • Along with these features, it is also compatible with the surround sound and advanced room processing system. • It supports the live broadcasting with 360 audio live streaming. The RondoMic Array will be coming soon. It can support the field mics in live streaming. Many discussions related to the VR audio and its compatibility and the available software’s are has been going on various forums related to the virtual reality and the new 360-degree audio. Creators are more excited to utilize the new tools in the present market which can support their overall video creation.Today, with the innovations and updates we can say that the original core is the experimentation of the new types which can lead to the new technologies and innovation together. Finally, stay updated with the new trends and software arrivals, tool kits designed for the virtual reality and 360-degree videos. Virtual Reality is the most trending and next big thing in video ecosystem.